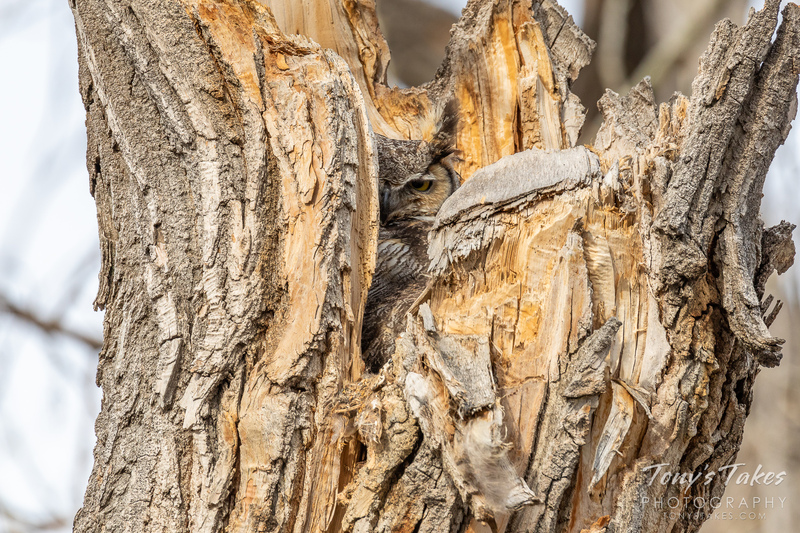 A female great horned owl peering out from her nest in a tree cavity in suburbia. I was very excited to learn this pretty lady had again made her home in this spot. Last year I learned about it just as her three owlets were fledging so I only had about a week with them before they left. This year I should be able to document them through the season which will be just awesome. It is a very unique location and one that should give some great pics in the weeks to come.